Halloween, also known as “All Hallows Eve”, is a yearly celebration celebrated on October 31. 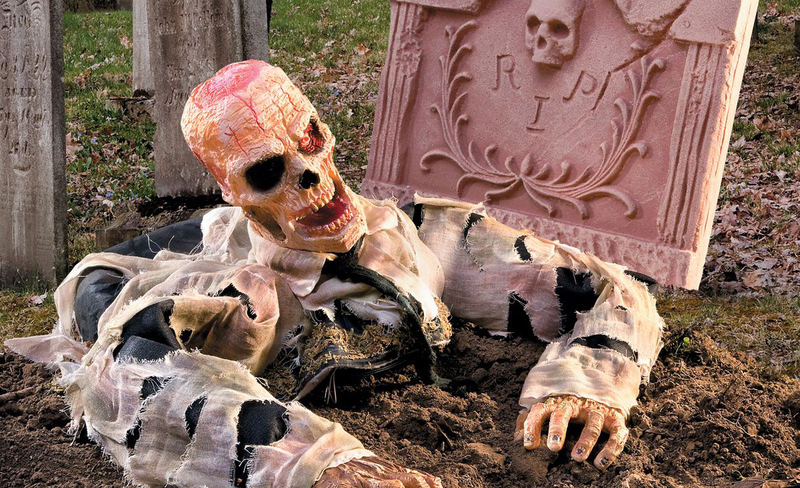 On Halloween, it is believed that the spirits and ghosts of the dead come back to roam the earth. People wear masks and “dress up” in an outfit to look like one of the spirits to avoid being recognized as one of the living. It is very interesting, fun party based on mostly the Costume theme. Halloween party is usually celebrated with family, friends and sometimes even with co-workers. A Halloween party is a perfect excuse to put your scariest Halloween costume and reset your Home to give it a haunted touch. Make your best witches brew and conjure up a spell for fantastically frightening evening. Halloween parties make a great alternative to trick-or-treating. For an incredible, well-put together Halloween party, it’s best to make arrangements well in advance. Here are some party planning tips for a terrifying good time. 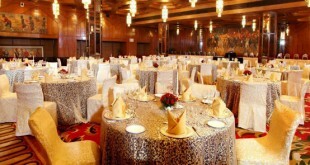 If you are planning to throw Halloween party it’s good to select the theme of your Halloween party earlier. There are so many themes to choose from like Haunted theme, Ghostly, Horror, Fairy tale, Pumpkin, Graveyard theme etc. Themes give your guest a different spirit to enjoy. A party is a gathering of people so the first thing to do is make the list of all your guests. 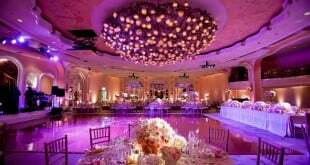 The list may give you an idea about the number of guests expected, space required for the party and the most important thing, you can estimate your budget more precisely. Once you have decided to host a Halloween party and finalized the guest list, sending a Halloween invitation is the next on your to-do list. An invitation with the right look and feel will let your guests know what to expect and get them excited about your celebration. The Halloween invitation should announce your theme clearly. 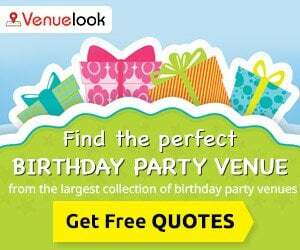 To avoid any confusion, mention Date/Time, Theme, and the Location where are you throwing your party. If you are hosting party for kids then it should be playful and colorful. Kids love anything to do with cartoons too. In case of adults, stick to simple designs with interesting scary fonts. Be sure to include anything unique about your party that will affect how guests should dress or what they should bring. If the gathering is small then you may consider making your own Halloween Invitations. I think the best part of it is that they can be made with minimal cost using your creative side with some paper and craft supply. Some ideas on shape and pattern are: Pumpkin Halloween invitation, witch’s hat invitation, haunted house invitation, harry potter invitation, cob-web party invitation, scarecrow invitation, ghost or zombie invitation etc. The main attraction of a Halloween party is the Costume. As we know, everybody loves dressing up. 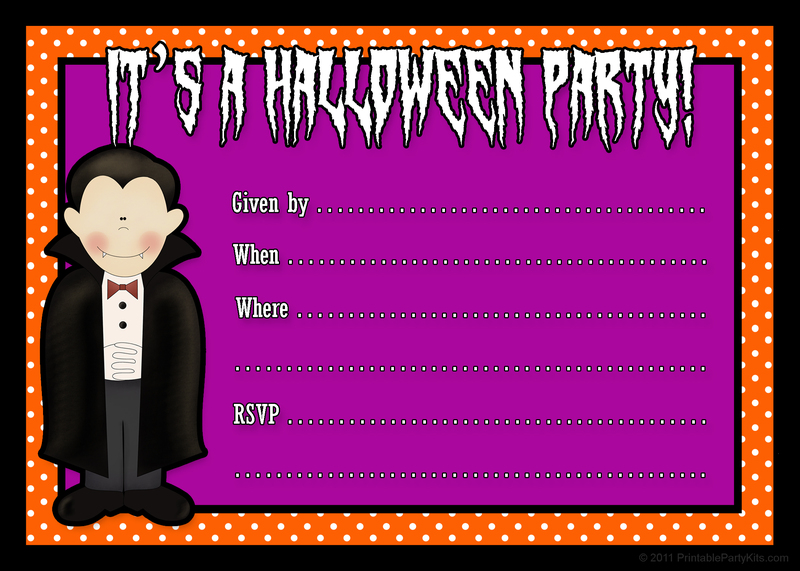 The perfect way to let guests know about your Halloween Costume party theme is your Halloween invitation. Make sure you explain to guests what kind of costumes you’d like to see represented at the party. Make sure there is enough space for the party. Then make a list of all necessary things required for the theme and purchase them from the market. Remember, you can convert trick-or-treating to eco-friendly Halloween party. Purchase those products that can be reused or recycled later. 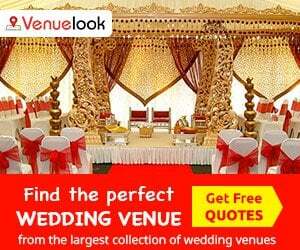 Try to decorate your venue with natural items like pumpkin, gourds, corn stalks and flowers. You can also design or make some products yourself like Masks, Skulls, Banners, Garlands etc. Decorate the venue the night before the party. Lighting plays an important role in Halloween decoration. Use candles, if you prefer. 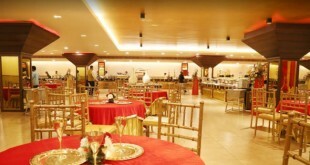 Decoration varies with the theme. For a vampire’s theme, use coffins, black roses, red paint as blood on glasses, etc. 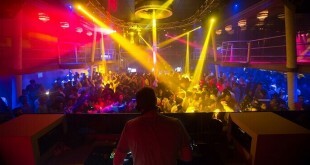 in a dark environment for a thrilling party! Guests can all wear vampire teeth to amplify the effect. Black and orange is the traditional color theme for a Halloween party. But you can choose your own color palette to design your own unique Halloween party. You may use Halloween specific items such as pumpkins, cobwebs, skulls etc to comply with the theme of the event. You can shape your cookies in different horrifying shapes like ghosts, eyeballs etc. It will be interesting to serve scary-looking desserts as well. For drinks, compile a witch’s brew to serve the guests. 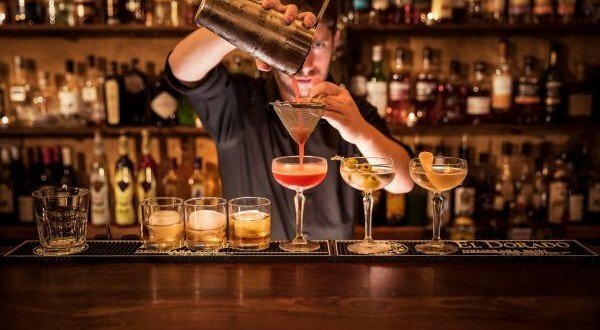 You can serve some cocktails such as caramel apple martinis also. Good scary sound effects sometimes during the duration of the party will be very well appreciated. 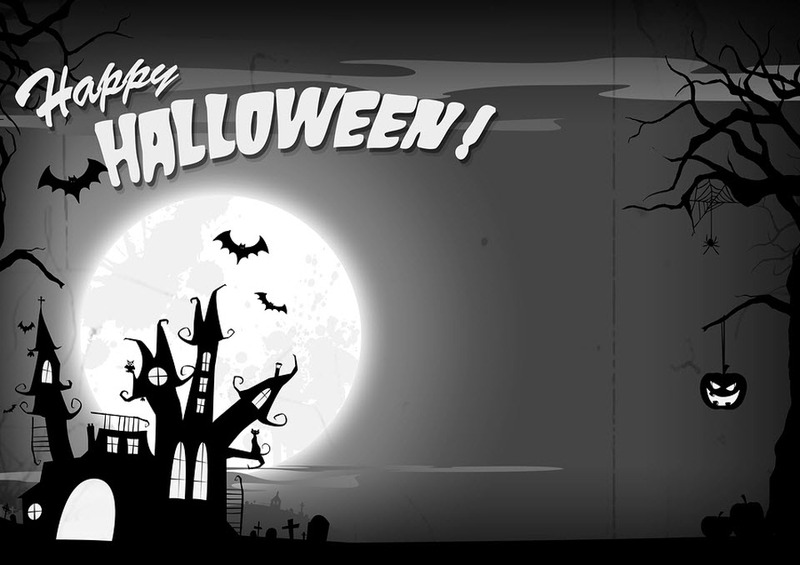 You can also organize a Halloween contest and give prizes or gifts to the winners. Make sure nobody gets bored. Party must be a blast! Don’t forget to capture all the memorable moments in your camera/phone. Try to have party in complete darkness so you can scare guests better. 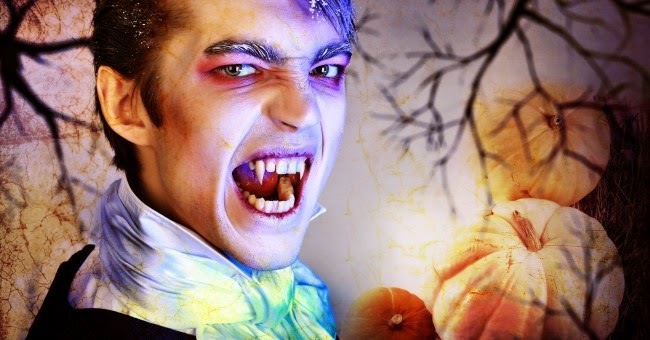 If you some more tips to plan a Halloween party…do share your ideas via comments below this post. We’d love to hear from you. And don’t forget to share your pictures as well. 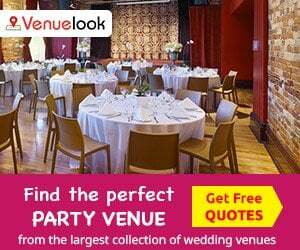 Find Best Venues for Halloween Parties at VenueLook.com .